This is the time of year many of us are looking at health insurance coverage and making decisions. There is a non-traditional medical model being embraced by healthcare policymakers on both the left and the right. One doctor in Eugene offers direct-to-patient care for a flat monthly fee. Dr. Priya Carden used to be a hospitalist at the Willamette Valley’s largest medical provider, PeaceHealth RiverBend. There was a point when she was seeing 20 patients a day. The workload, she says, was sometimes unbearable. 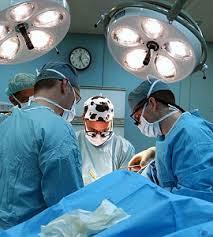 Sick and tired of what she calls the “big box model of medicine,” in 2011, Carden quit. Soon after she attended a workshop on “building your dream clinic.” That’s when she decided to take the path less traveled: Direct Primary Care. 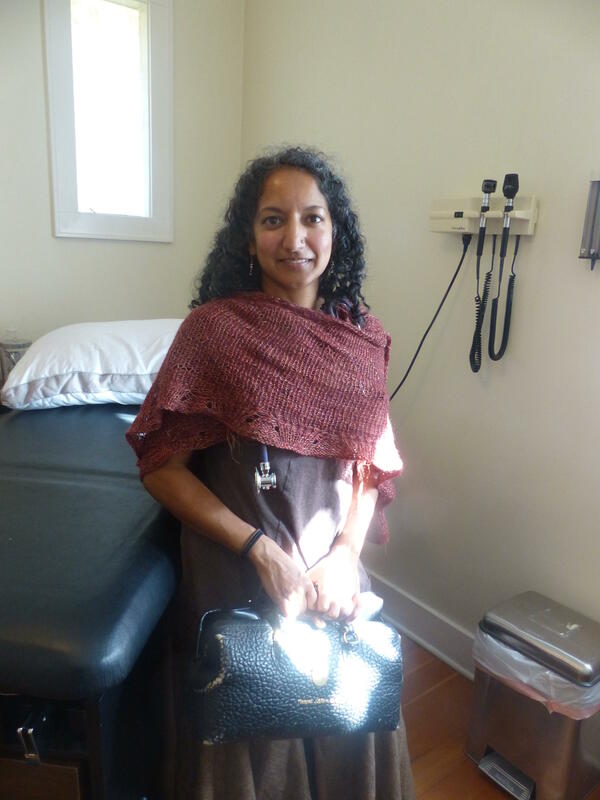 Dr. Priya Carden in an exam room at her Direct Primary Care clinic in Eugene. And, her clinic does not bill insurance. For patients who can’t afford the $75 monthly cash fee, Carden maintains a “Robin Hood Fund.” Patients who want to pay a little more for their care do—and those who need to can pay less can. For the fixed price, patients can contact or see the doctor as much as they need. And they don’t have to worry about meeting deductibles or hidden costs built-in to office visits to cover the expense of billing insurance in the first place. Dr. Priya opens the door to her patients. Carden says most primary care physicians have between 2,000 and 3,000 patients to their name. Over the past two years, Carden has grown her practice to over 200 patients. Those manageable numbers leave her more time for the people she treats—office visits are 30 minutes to an hour- and she has more time for her family—she and her husband have three kids. As a primary care doctor, Carden treats her patients for a wide range of conditions and ailments. Basically anything one would visit an Urgent Care for, but with added benefit of knowing the doctor and her knowing you. “Good, how are you doing? Dr. Priya Carden with patient, Carl Farlsgraf. He's a self described "evangelist" for the Direct Primary Care the model of medicine. Farlsgraf and his wife became Direct Primary Care patients a year ago. He’s 59 and she is in her early 60’s. The Farlsgrafs do carry health insurance. Farlsgraf believes this non-traditional medical model harkens back to a different time. That’s what he said. She makes house calls. Carden’s “dream clinic” doesn’t work for everyone. This doc realizes there is a population of patients who can’t afford to pay anything. And she doesn’t bill Medicaid. That’s why she works 4 hours a week at White Bird’s free clinic. While she can’t see her practice going any other way, there are risks for Carden switching to this flat-fee model. She’s on her own--literally. Stana Knez (center) and her husband Shevach Lambert are satisfied patients of Dr. Priya Carden. They say the doctor cares for their bodies, minds and spirits. Still, this model seems to be picking up steam. Since Carden started her practice, two other “pure” Direct Primary Care clinics opened in the Eugene/Springfield area. And while less than 2% of the nation’s 900,000 licensed physicians use this model, the current healthcare climate is expected to lead to greater demand for this kind of doctor-patient relationship. The Oregon Association of Hospitals has developed a new initiative to make the cost of medical care known to patients in advance. All of Oregon's 62 community hospitals have agreed to participate. 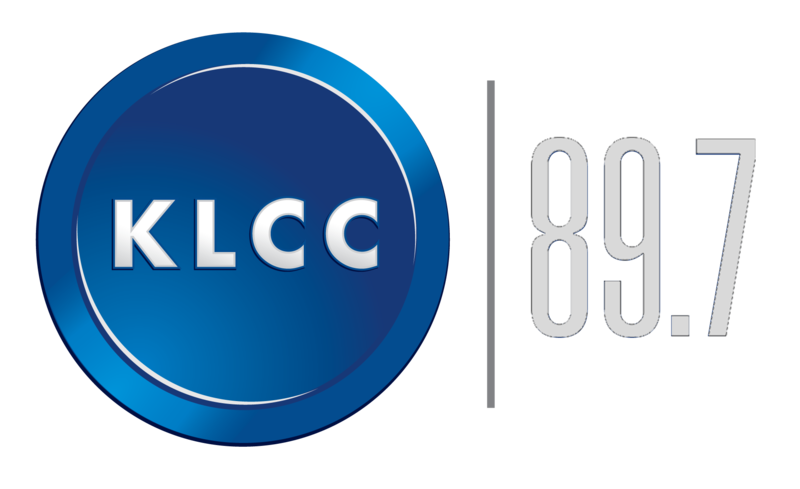 KLCC's Tiffany Eckert explains what this means to patients with and without insurance. When it comes to health care price transparency, a national rating system finds Oregon is failing, literally. Davidson: "Oregon currently receives an F."
Unable to air on KLCC due to length. Better Health at Lower Cost: What's a Community to Do? The Social Determinants of Our Health. 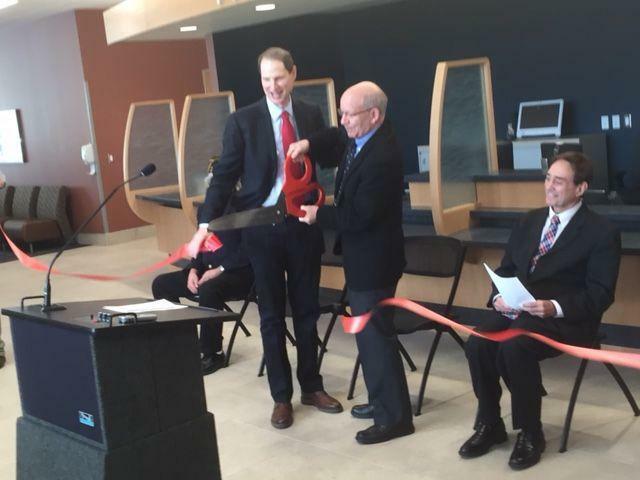 Veterans have a brand new facility to get healthcare in Eugene. After nearly ten years of delays, mismanagement, and funding issues, dignitaries and veterans formally unveiled the new building Saturday (yesterday).